Our speed is rubbish too-but I know it is better than many and it is reasonably cheap in the UK for broadband (I negotiated several years for FREE! I was gutted when I finally had to pay!) but frustrating none the less. 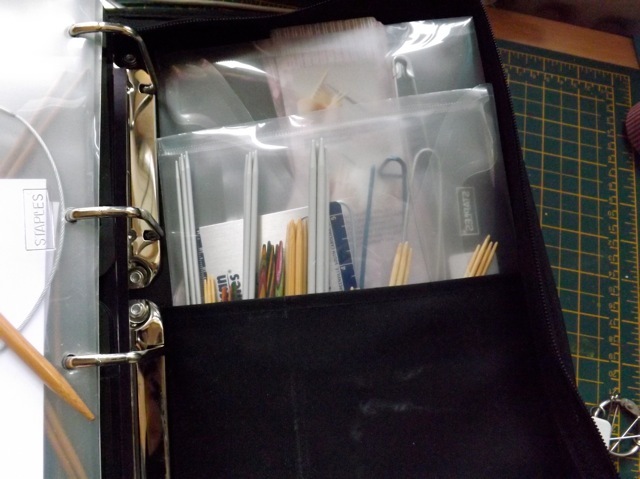 Your needles are really organised now, my mum has these too-I will have to shame her by showing how you store yours! I made her a needle case for Christmas but I fear many are still chucked her needle bag!! Slow internet so frustrating. Ours can be similar! Like the clever sock knitting though. I am not a Knitter myself so admire those who can! 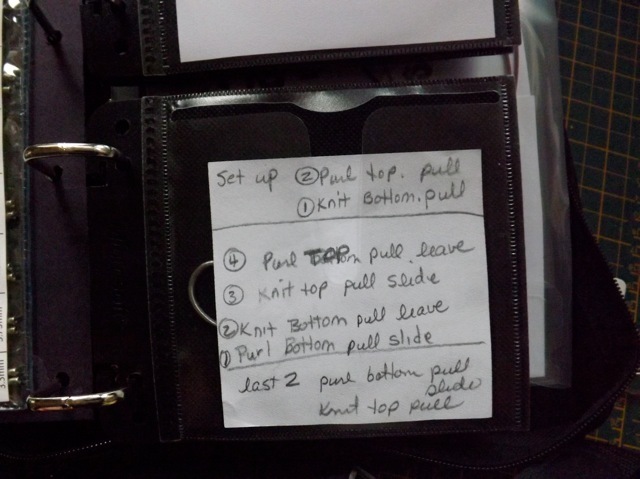 Haha, I love your knitting note. I should do the same thing. 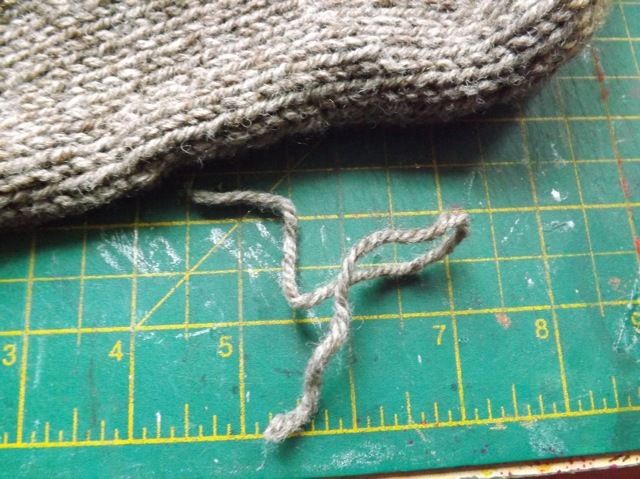 I’m not much of a knitter, but when I do I have to go find the video on how to cast on, every single time. Looks like you’ve done some great organizing! Your needles look great. I always end up looking around in many places ( my girls like knitting too) until I find the right size… But my dog just ate up a good bunch, and if they were all in the same place, the disaster might be even worse ! 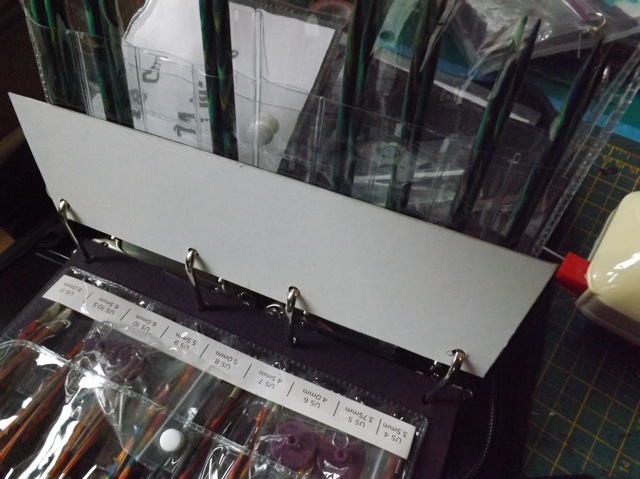 A class needle organization!! You should be able to find them blind! I am impressed! I am not sure I would spend less time in front of the computer, if I had high speed internet. It is far too much anyway. Would be nicer doing art instead. congrats on having some yarn left over! LOL! and your new organization. If you ever need knitting help give me a buzz. We’re very excited in Burbage because BT have just remodelled the exchange and green junction boxes have appeared. So we’re waiting for the notice of when it can start. Your sock may not look “special” to you, but it does to me, since I don’t know how to knit. 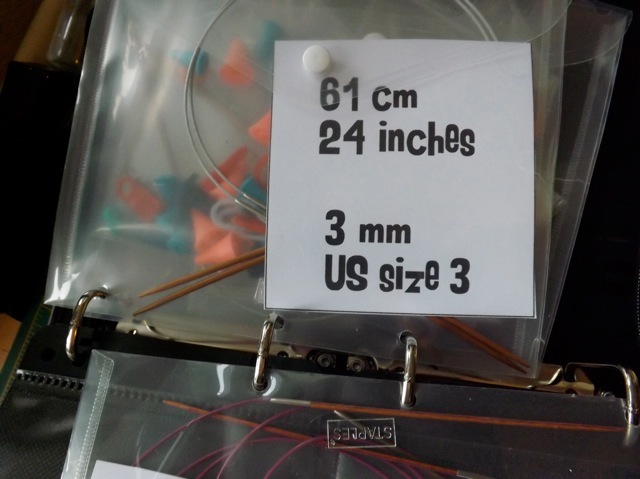 I also love your highly organized needle collection, because that’s what I like to do with my tools as well. Happy WOYWW! The finished sock may be nothing special to you but for a girl that doesn’t knit this is very special indeed! I know your husband is going to be so happy! Of all the people that lack of connection will affect..you’d be top of a list!. Pretty sure I would get loads more done if we were offline for even a few hours!! This morning I. Having a lot of trouble speed wise commenting from ipad, so am prolly about to give up. 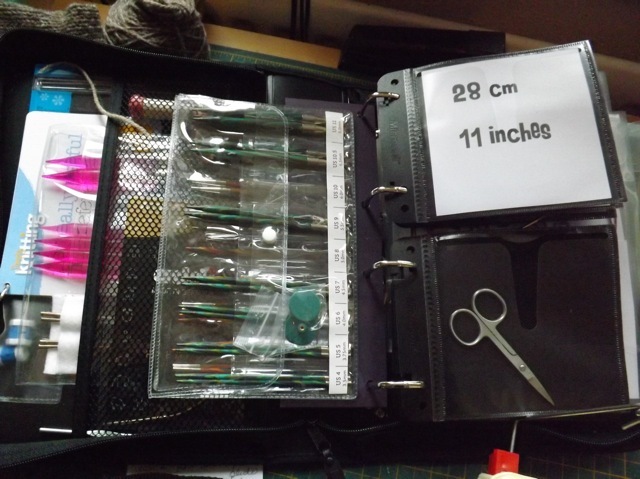 all hail your organised knitting needles…great idea. I think ANYONE who can knit must be a genius!!!! It just never clicked with me and I always spent more time trying to “fix” dropped stitches than anything else, lol! Your sock looks warm and lovely – what more could you ask of a sock??? Great job on the needle organizing! I can feel your pain with the computer. I know how slow my internet is, and I often think there might be something wrong with the line, because it always goes down when we have a rain storm. Haven’t seen much difference when it snows, though. Hope the fix becomes permanent soon. I admire your knitting skills. I also like your organization folder. Not sure I would ever be that organized, though! No number yet, but I bet you can find me (grin). Ah you have filled the folder and it looks good all this whilst I slept. That is not a very good internet speed, i do hope they are going to improve it a lot. 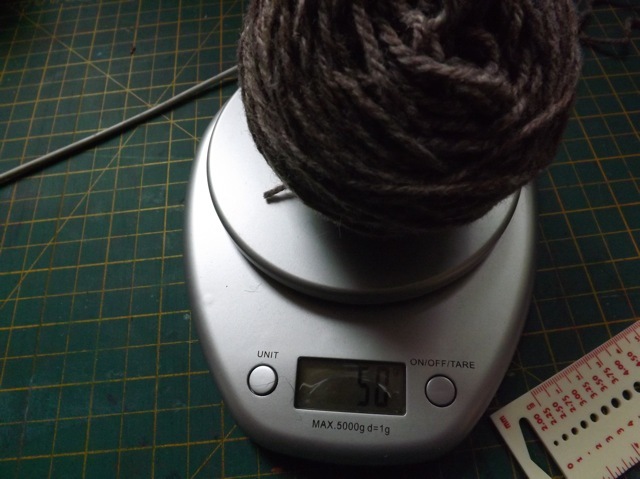 Oh and weighing your wool it makes me laugh as I am not really a knitter. Hope you have a great week. 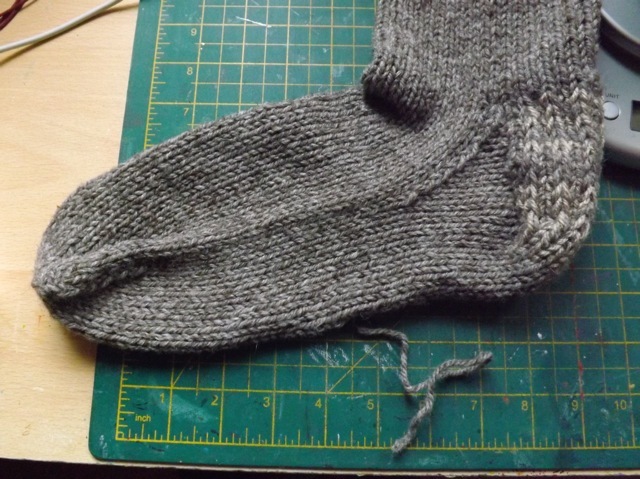 Knitting the sock. It looks good. You are a lot more organized than I will ever be. Where are you in the UK? Also I am impressed with your comptuer knowledge. Do you have cable internet? I am rather clueless about internet access if it is cable or dsl. I do remember when it was dial-up. Hi Ma how’s this for early … ha ha. We live in an area where high-speed Internet is not available. I would *kill* for your D/F service!